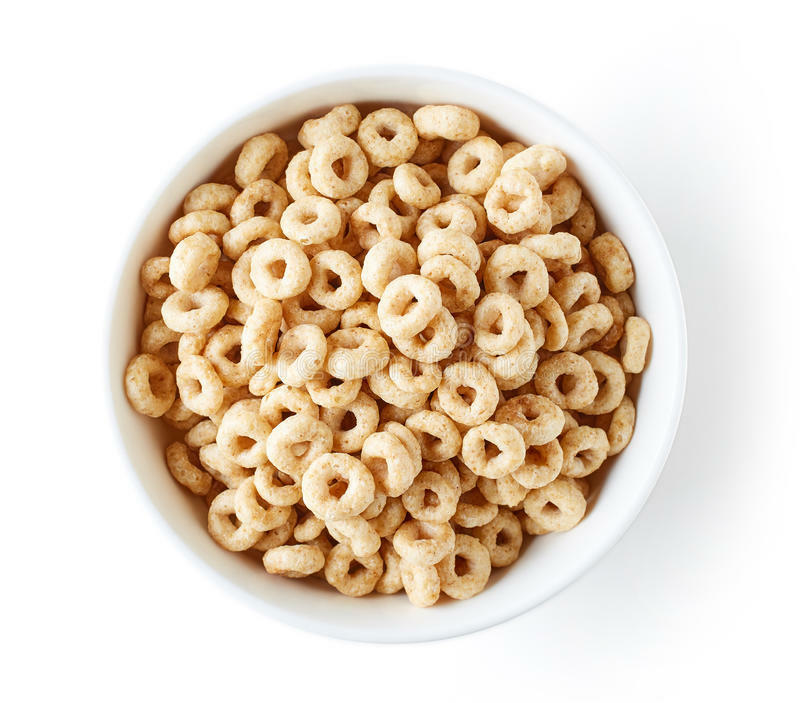 Cheerios is on a mission to make the good go round by inspiring kids – and parents – to come together and mix it up at the breakfast table! After all, we can do great things on our own, but so much more good happens when we combine forces. Grab one bowl and two boxes of Cheerios – with 10 flavor varieties to choose from and a little imagination, it’s easy to spark creativity before school! These mixes make the perfect breakfast or snack for kids to enjoy before, during, or after the school day . 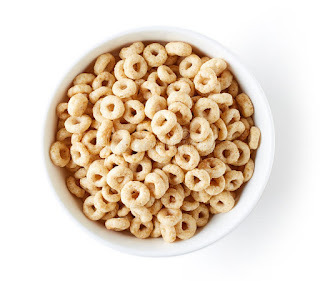 Pour half a serving of Apple Cinnamon Cheerios together with Frosted Cheerios to create Apple Turnover. 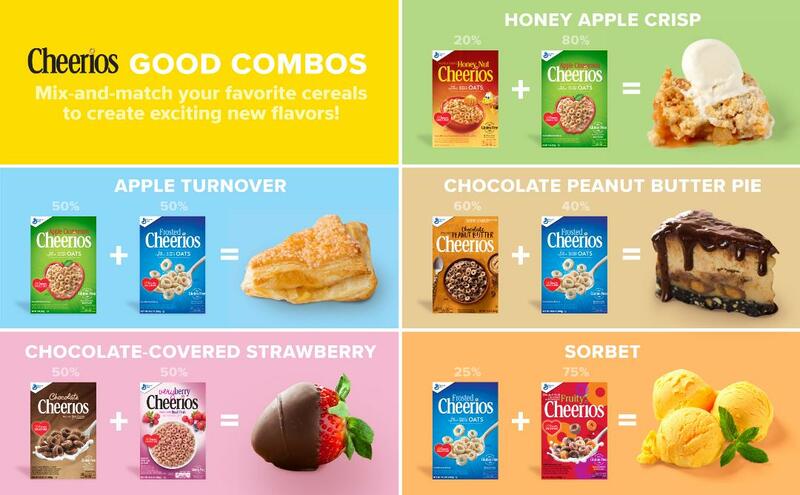 Combine 50% Very Berry Cheerios with 50% Chocolate Cheerios for a berry delicious Chocolate-Covered Strawberry treat. Looking for a bite of fall flavor? Mix 20% Honey Nut Cheerios with 80% Apple Cinnamon Cheerios to create Honey Apple Crisp. Chocolate or Peanut Butter? You don’t have to choose when you mix 60% Chocolate Peanut Butter Cheerios with 40% Frosted Cheerios to create a slice of Chocolate Peanut Butter Pie. Not ready to say goodbye to summer? Mix 75% Fruity Cheerios with 25% Frosted Cheerios for a sweet Sorbet. 33 years ago today, I gave birth to my oldest daughter, Ria. Happy Birthday, Ria- hope your day is wonderful like you! 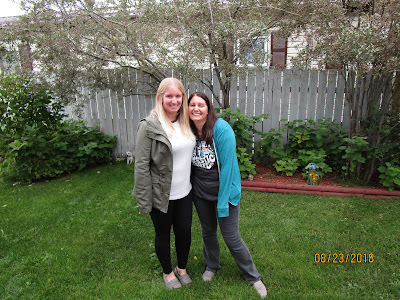 Our girls are both gone now- Ria spent a few weeks here then went to visit a friend in Alberta, as well as made a trip with her sister to Nfld to visit with her dad, step mom and gramma. Then Ria and Erika both returned here and spent another week. We finally got our windshield on our RV done. Was $100 deductible, and at same time the glass guy fixed a few stone chips that Erika had on her SUV while she was here, for free. But Gerry also helped him put the window in our RV so guess a bit of a trade off. Our weather has cooled off quite a bit. Lots of rain and very little sun. Raspberries are done, tomatoes too. Just have the carrots left. I'm glad we are blessed that we can afford to go south every year. Winters are so cold and long up north here. We are looking forward to traveling to new places again. The weather has been so wonky though all over the world that one has to be careful as well and always keep up with that too. Seen another mass shooting has happened in today's news. When will it end? Do you like to craft? How about trying new types of craft projects? If so, we have a wonderful crafting kit for you to have fun with. While Ria ( daughter) was visiting us she had suggested some soap stone carving kits she had her eye on that would be fun to review on our site. 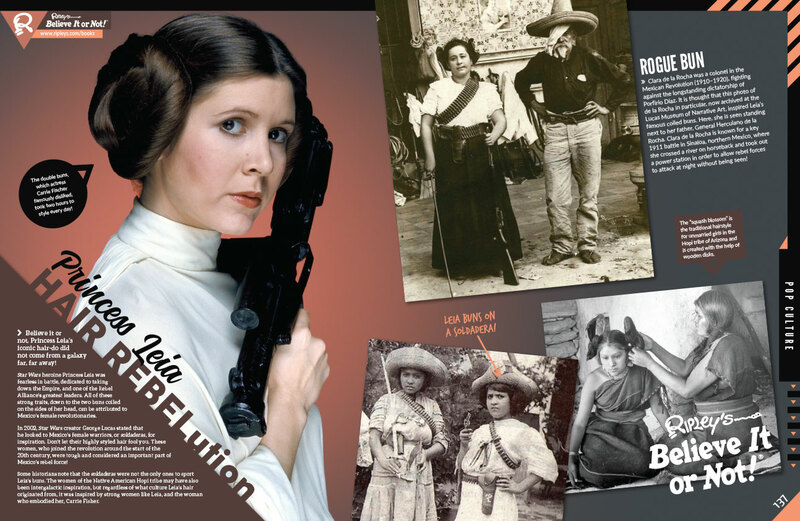 I had never heard of Rubble Road Soapstone till she showed the web site to me. I was quite intrigued with it, but knew she'd love this more than me- she has more patience for things like this- and as well her step-dad could also do one. It would make for a great time for the two of them to sit out in the shop together, carving away at their projects. Rubble Road has soapstone animal carving kits for all ages and in 3 sizes. They are a family business and believe anyone can create their own soapstone carvings. Kits are reasonable priced and feature Canadian animals. The animal shapes are roughly outlined to give you a head start on your project and the rest is up to you! The kits can be ordered online or can be found at many locations across Canada. Many completed soapstone animals can be seen in their gallery. Gerry said that he loved working on his carving. It was a new experience for him, he loved the new piece of art he helped create and it brought out his "artistic side"
Ria says it's a great craft to do while spending time with a friend or family member. It was fun she said, and loves that it's a Canadian site with animals of Canadian origins. You can see their completed pieces below and what a great job they both did with them! Rubble Road would love to offer a medium bear soapstone kit to one lucky winner from Canada or the USA.Value $30. Giveaway will be held by Random.org on September 2, 2018. Tell us if you have ever tried a craft using soapstone, and if so what it was you made. Good luck to all and please leave contact info in case your the winner! If you haven't been diligent about setting money aside for retirement, you probably aren't looking forward to its arrival. 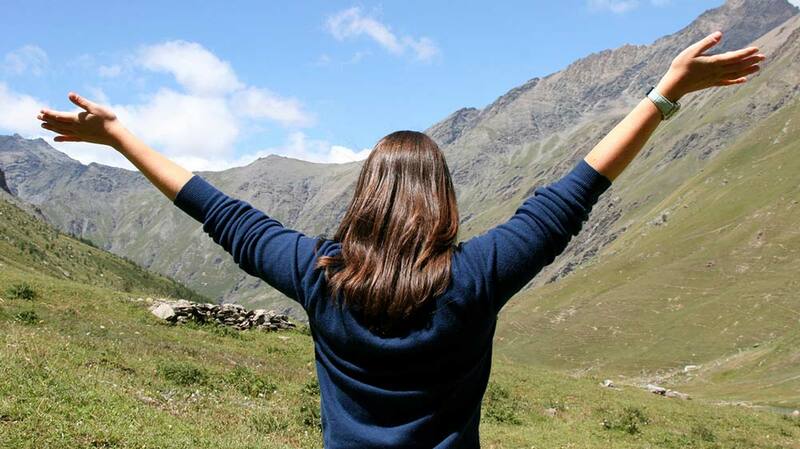 Instead of looking forward to the time you will have available to discover the best restaurants in town to frequent with your friends, the time you have available to pursue your favorite hobby, and the time you have available to travel to exotic places on your bucket list, you may have a quiet sense of desperation. Fortunately, there is a solution: find smartways to invest. Some good investments will help you fund your retirement, and you might be surprised by the number of opportunities available in the financial markets when you know how to evaluate them, opportunities that, once seized, will help you retire in comfort after all. Some interesting options to explore where you can enjoy the benefits of high leverage is the foreign exchange market, also known as FOREX; the equity market, also known as the stock market; or the futures market, also known as the commodities market. Let's take a closer look at each of these ways of earning the money you need for a great retirement. The Foreign Exchange Market (FOREX), is the biggest financial market of all. It's daily transaction volume is in excess of $5 trillion. In fact, it’s bigger than the equity and futures market put together. This market is where traders buy, sell, exchange, and speculate on the world’s currencies. This financial market works based on the currency exchange rate. This exchange rate is quoted in pairs. For instance, if you wanted to profit from the difference in the currency exchange rate between the Euro and the US Dollar, you would look at the EUR/USD pair. Still, if you are not interested in active trading in the forex market, you can buy an undervalued currency, hold on to it, and then sell it when the currency revalues. The IraqiDinar is a prime example. After the overthrow of Saddam Hussein, the value of the Iraqi currency plummeted. But since that time, the country has been aggressively pursuing a policy of economic redevelopment and now financial pundits expect an impressive revaluation. If you happen to have acquired large amounts of the currency, you'll make a handsome profit from selling it at the new price. The Equity Market, or the Stock Market, is an aggregation of people who want to buy stocks and people who want to sell them. Shareholders, of course, represent an ownership claim on a business. This may include privately traded securities and those listed on the public stock exchange. If you want to buy a stock in a particular company, you should open a brokerage account that advertises low fees and offers a variety of useful features. 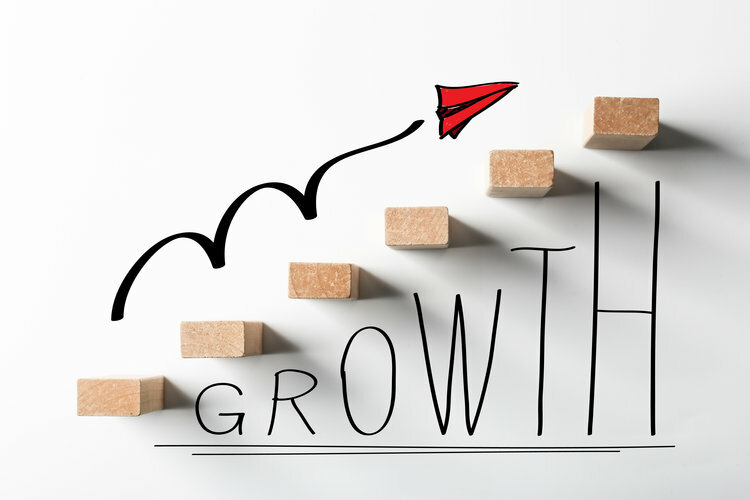 Once you’ve opened up an account, choose your stocks, preferring companies that have demonstrated growth prospects over the long-term. The number of shares you buy, of course, will be based on your budget and your portfolio allocation strategy. The futures market, or the commodities market, is based on trading raw materials rather than manufactured products. So, for example, a soft commodity would be sugar, cocoa, wheat, fruit, or coffee. A hard commodity would be gold, silver, or oil. One way of trading commodities is to use afutures contract to hedge your position. If you expect, based on your understanding of technical charts and news reports, that the price of soybeans will go up by a certain date, you will make money if the price does indeed go up. The commodity market is similar to the other financial markets in terms of buying, selling, or trading, and it can be either a physical, virtual, or cyberspace. When trading in FOREX or equity or futures, you must avoid a get-rich-quick mentality and never risk more money than you can afford to lose. Do your research and understand how currencies, stocks, or commodities move before you trade. In conclusion, it’s never too late to enjoy a happy retirement. By making some smart decisions, decisions informed by research and backed with a robust strategy, you will be able to earn the money you need to enjoy a wonderful retirement. 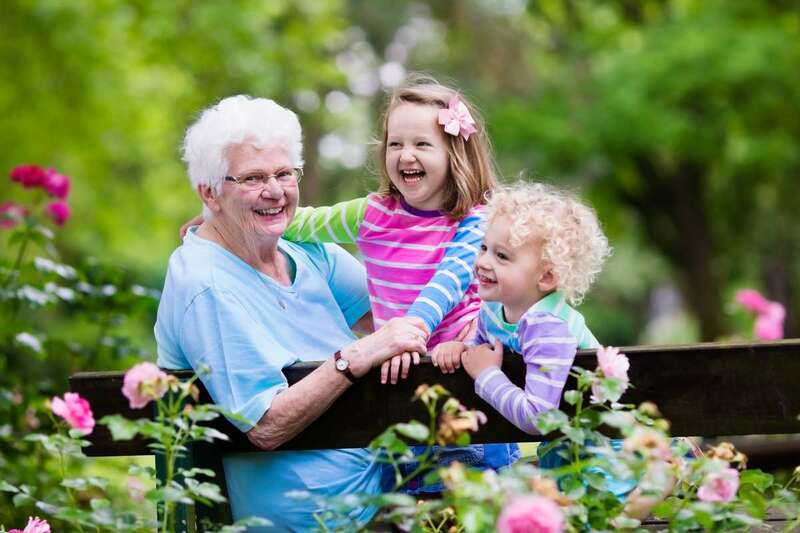 Outings, family visits, and social gatherings play an important role in the wellbeing and health of the elderly. One of the best ways to support an elderly parent, spouse or other close relative is to include them in regular outings and events, but there are some additional precautions you should take when you leave the senior's safe, familiar environment. Proper planning and an awareness of your relative's mobility issues and mental health will help you create a safe and rewarding adventure you'll both enjoy. Loved ones with mobility issues that are well enough to go on regular outings with a group or family member are likely not suffering from diagnosed dementia, but could still be at risk of wandering. Wandering or eloping is prevalent in pre-diagnosed memory care patients and those who are just beginning to feel the effects of memory loss, but who are still able to hide the problem. Seniors who wander can simply leave the location you are visiting. 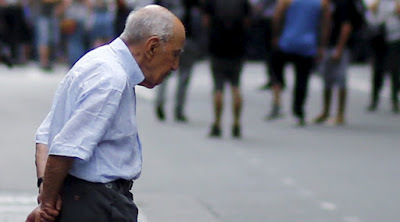 Even a visit to the mall or a restaurant can become a problem if your elderly loved one heads to the restroom, then forgets where they are or who they are with. Caregivers can help preventwandering by staying with their relative and walking with them, even if their pace is slow. Make the commitment to the day and plan on taking as much time as they need to get safely around. Memory loss can cause other issues as well; check for coats, wallets, purses and other essential items at each stop of your trip to make sure all items are accounted for. A fun day for you may not be a fun day for a senior -- and they may not be willing to admit it. Watch carefully for the signs of physical overexertion, including changes in skin complexion (very pale or very flushed), rapid breathing and drowsiness. Elderly men, in particular, may not want to admit they are tired until they are in pain or very ill, so watch and suggest a rest when needed. Consider getting them a sleeping recliner for unwinding and relaxing after a day out and about. Extreme temperatures and lots of walking can quickly lead to overexertion for an older person, so an easy-access way to rest is essential for them to recover. 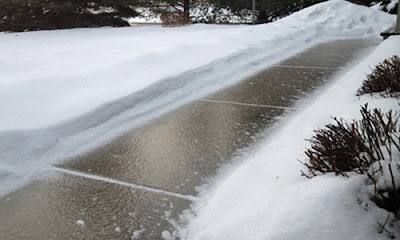 Even though you are walking on the same surface, the wet pavement or icy steps are a much larger hazard for your elderly relative. Less nimble muscles, brittle bones, and slow reflexes can turn a simple slip on a wet store floor into a major injury, so be aware of badweather hazards before you leave home. 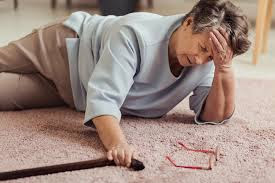 Since an outing can be a big event for a senior, they may dress for the occasion; heels or hard soled shoes can make any hazards you encounter even worse. Offer an arm to assist the ladies -- and request help from older gentlemen, even if you don't need it. Doing so will give them the extra support they need to prevent a fall. Proper planning and an awareness of your relative's mobility issues and mental health will help you create a safe and rewarding adventure you'll both enjoy. Making the commitment to take an elderly person on an outing will do wonders for you both. Preparing in advance and thinking about how your senior relative will handle your plans is the key to a successful and beneficial outing. Contact us to learn more about making the most of outings and everyday visits with your loved one; we're here to support you both. Do you feel like Summer has passed us by? I have been having days like that, especially since I have seen one of our trees in the yard starting to yellow. 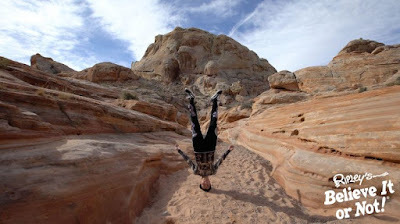 But tomorrow is calling for a warmer day again, and in a few months, we'll be leaving the Fall behind and heading south to Arizona where it stays "summery" year round. We've rounded a few up and wanted to share with you to keep your eye out when shopping next time your out. 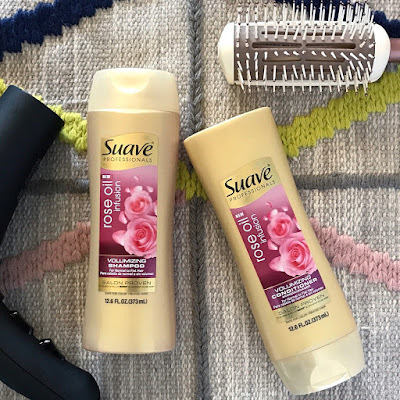 Suave Professionals is addressing the desire for light, voluminous hair that moves with touchable, natural bounce with their Suave Professionals Rose Oil Infusion collection. Infused with pure rose oil, this this lightweight shampoo & conditioner system adds natural volume that’s petal-soft to the touch. To help counteract the effects of pollution, Dove has transferred the impressive credentials of micellar water technology to NEW Dove Anti-Stress Micellar Water Body Wash and Beauty Bar – becoming the first to bring micellar water technology to the mass U.S. Body Wash market. The NEW Dove Anti-Stress Micellar Water Body Wash and Beauty Bar with mild micellar technology refreshes skin while gently cleansing away pollutants and environmental stressors like dirt and impurities to reveal soft, smooth skin – making it the perfect cleanser as you travel this summer! We also know that summer can leave your skin feeling sweaty and at times dried out if you frequently use the air conditioner, but Dove DermaSeries has got you covered. Dove DermaSeries is Dove’s newest line of fragrance-free and hypoallergenic products for people with dry skin including dry skin conditions such as eczema and psoriasis. The DermaSeries line consists of 8 products, from an expert repairing balm to a non-greasy hand cream and gentle cleansing body wash that will soothe and hydrate the skin, leaving it soft and moisturized. Perfect to use all year-round, Dove DermaSeries products will make caring for your skin easy and help you create a summer beauty routine you love. And no matter if you’re traveling across the country or commuting to work, Beauty Finish Dry Spray Antiperspirant is perfect for beating the summer heat! It provides 48-hour odor and wetness protection and all the care of Dove, while going on instantly dry. 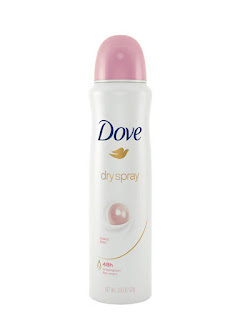 I personally LOVE DOVE products. They never let me down with my beauty routines! Even Gerry loves their men's line too. 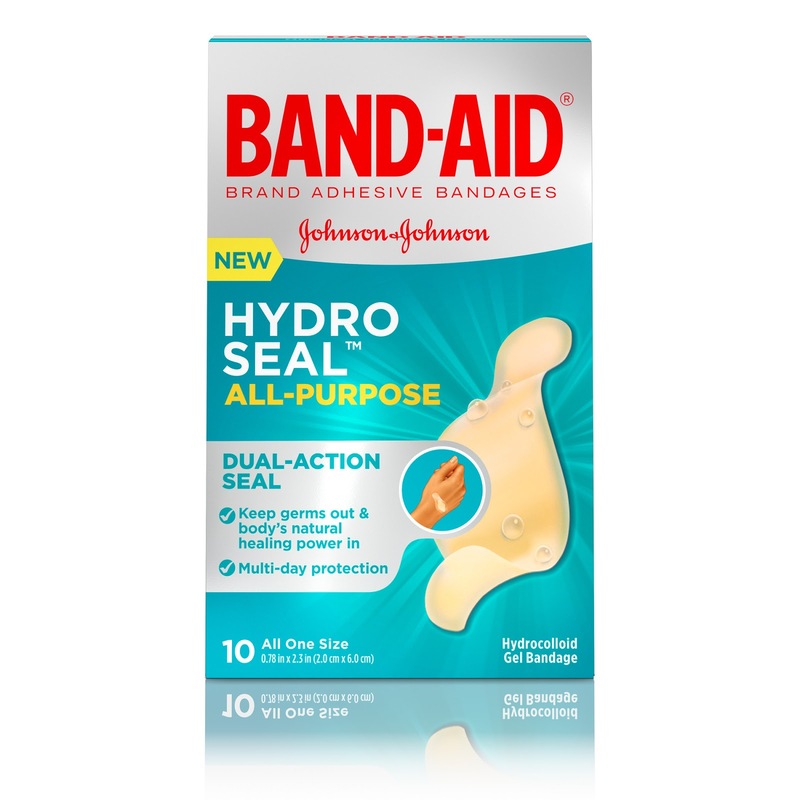 Also BAND-AID Brand Adhesive Bandages offers plenty of first-aid essentials for the great outdoors. BAND-AID Brand HYDRO SEAL Adhesive Bandages for wound care and foot care are 100% waterproof and keep dirt, germs and bacteria out, so your body’s natural healing power can go to work. 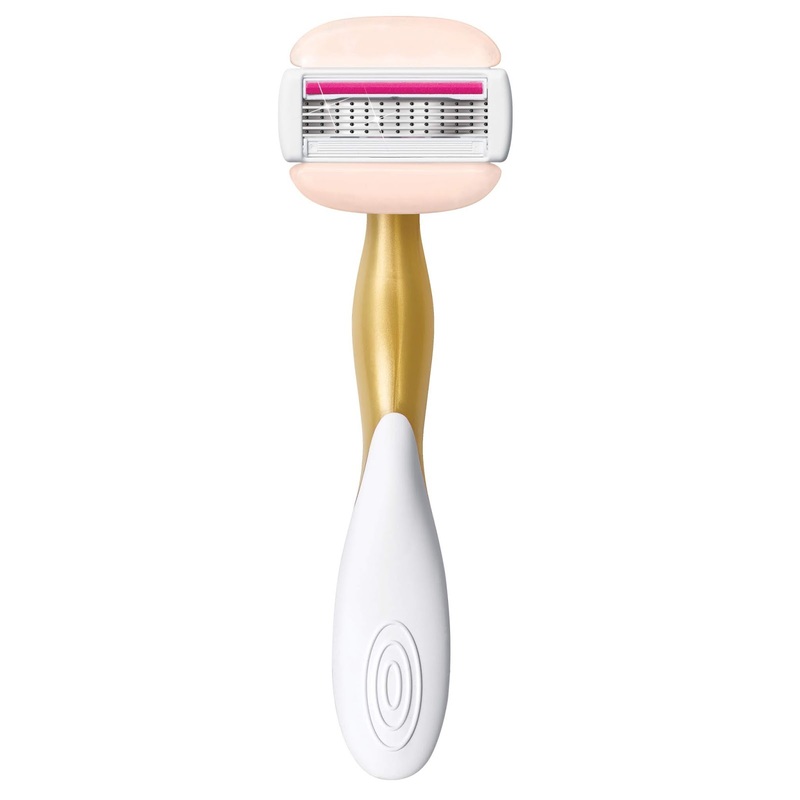 And with summer well under way, the new BIC Soleil Balance razors offer a flawless shave at an affordable price. 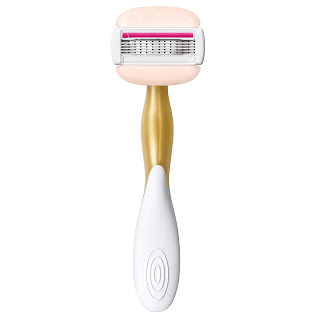 This budget-friendly 2-in-1 razor will allow you to skip the hassle of shaving cream, with five flexible blades and moisture bars with shea butter for silky smooth closeness. These razors are awesome! Watch this spot though as we are adding to our product round up very soon! From conga-dancing dogs and bicycling ballerinas, to “hair”-raising feats of strength and death-defying motorcycle stunts, the newest book from Ripley’s Believe It or Not! is sure to delight readers of all ages. 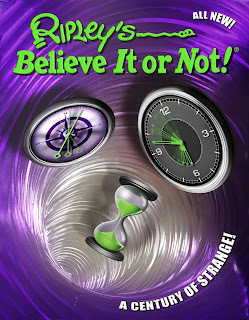 Paying homage to the 100th year anniversary of Robert Ripley’s first cartoon, A Century of Strange contains over 1,200 weird-but-true stories from around the world. A Century of Strange will be available at all major book sellers and on Amazon starting August 28th. We're noticing the weather has already been turning. Mornings are cooler and when Gerry goes to cut grass early in morning- dew on grass. ( Still working part time with the lawn cutting business he works for). 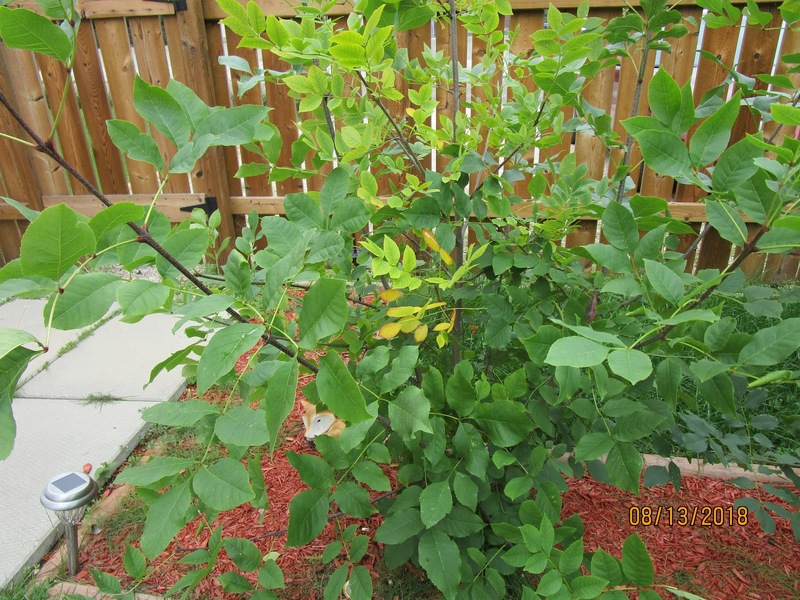 Doing some of our own yard work too- trimming trees, still picking raspberries, and lawn cutting. Found an easy recipe for raspberry jam too so no raspberries going to waste. Not sure sunflowers will see heads though, some tomatoes growing but slow as well, and carrots staying smaller too. I still think we have a good month left though for all of them. Going to get another section of fence up too soon. Waiting on the window repair guy to come replace our RV window. Gerry been sanding doors and refinishing in the RV as well. Also want to add some spindels in the living room to kinda separate the living room from the dinette booth. So will see how that goes. 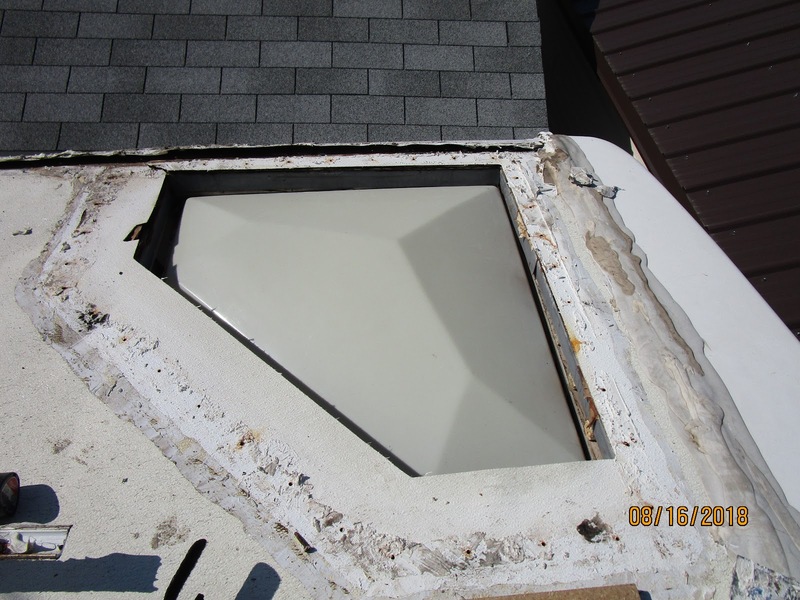 Also took some pictures of up on the RV- he's going to have to do some repairs as it is rotten over by the bathroom skylight and all previous owners did was pile more caulking on top of more caulking on it! 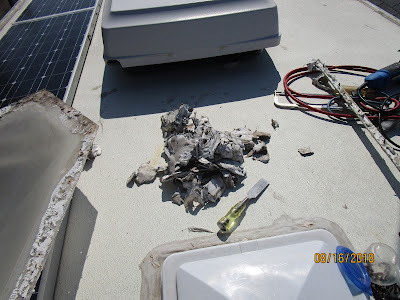 He said about 50% of the roof is rotten. I told him I'll win the lottery soon and get a new RV! Had to get new brake pads for the SUV- very worn and squeaky- $93- but good Gerry can do his own mechanical work- for the most part. Some savings there. 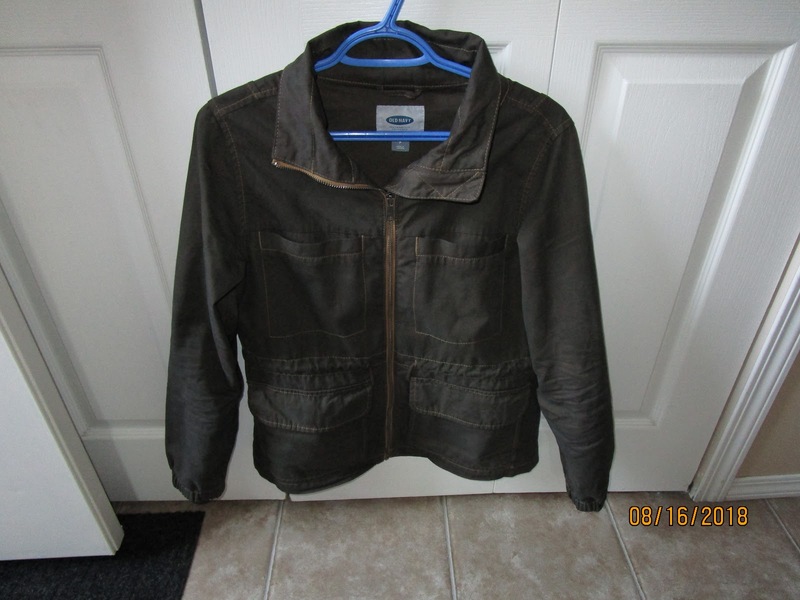 I had gotten a jacket from Old Navy that I wasn't 100% sure on its color but after spending $2 on some dye, it didnt quite turn the black I thought it would but more an olive green which I like and doesn't even look dyed! Getting used to my new camera still and uploading pictures- so looks like I deleted the "before" but do have the "after" LOL..
One of the best ways to boost your career and increase your income is by getting a higher degree. For those working as a registered nurse, for example, this means studying for a family nurse practitioner degree from a reputable university. The same can be said for other professionals who want to push their career forward. One of the main issues about pursuing a degree is the fact that it can be quite costly. That is why in this article we are going to review some of the best ways to save on your bachelor’s degree and how to get one without breaking your bank. Let’s get started, shall we? The best way to enroll in one of the best online FNP programs – or other undergraduate program that suits you best – affordably is by applying for a scholarship. There are a lot of scholarship programs to apply for. On top of that, you don’t have to have high academic achievements to qualify for a scholarship. Some programs are designed for those with special skills, such as art scholarships and similar programs. There are also scholarship programs that can help you get into top names such as Bradley University using sports or other talents as a way in. These scholarship programs also cover different portions of your course. Some will only pay for tuition while others offer aids with other expenses associated with becoming a full-time student, too. Be sure to learn more about different scholarship programs before deciding to apply for one that matches your needs and personal preferences best. 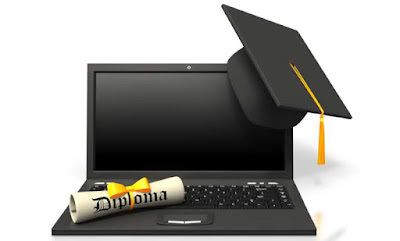 It is not a secret that online degrees are a lot more affordable than offline degrees. You can get the same degree – accredited and run by the same university – for as little as 50% of the cost when you choose to enroll in an online program. 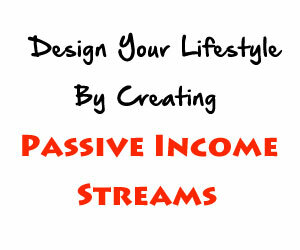 To make it even better, most – if not all – programs you can find offline are also available as online courses. 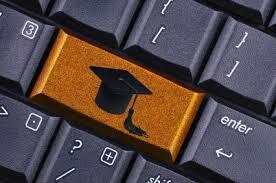 Distance learning programs are becoming more popular because these courses are designed to be very flexible. You can complete the course at your own pace, allocate the amount of time you can afford to set aside for studying, and still get a valuable degree from a reputable university. You can also complete the course while working a full-time job, and without having to relocate closer to the university. One last tip to keep in mind if you want to save on your next degree is to utilize student discounts and other special offers. As soon as the first semester starts, you are eligible for somegreat offers from retailers and top brands. As well you can learn more here on tuition assignments. Unfortunately, for many former students, the options are limited. If you're already indebted, you might be eligible for special loan forgiveness programs so make sure you explore all the possibilities. When it comes to having food intolerances, everyone who has them knows it isn't a walk in the park. There's the reading food labels, and still wanting to eat like everyone else- and eat tasty food too! You still want to have your cake and eat it too. 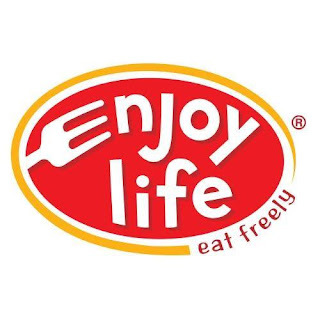 With Enjoy Life Foods their web site has recipes from cookies, cakes and puddings that feature Enjoy Life vegan chocolate chips, gluten free cookies and more! I love desserts and we eat alot of them in our home, but I always have to be careful with what I eat with fructose and lactose intolerance. The dessert recipes provided by Enjoy Life Foods are always free-from gluten, wheat, dairy, peanuts, tree nuts, egg, soy, fish, shellfish, casein, sesame, sulfites, and potato. I picked up their Mega Chunks for a brownie recipe and what a hit they were! Get ready to deliver tasty, free-from this and free-from that desserts that all your friends and family can enjoy safely! You can find Enjoy Life Foods online or in stores near you. 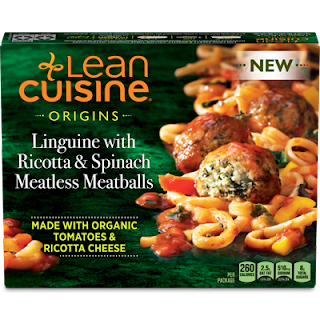 As the summer winds down and school gets back in session, Lean Cuisine is an easy meal option for women and their families juggling many priorities – allowing them to stay on top of their nutrition. 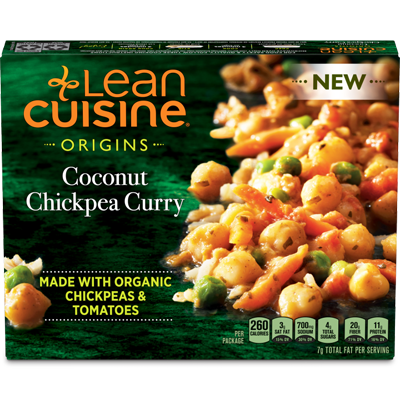 Whether shopping for their family or themselves, many Lean Cuisine dishes contain the building blocks for essential nutrition, and thre are a variety of options no matter their preference, including: full cup of vegetables, high-protein, high-fiber, and more. 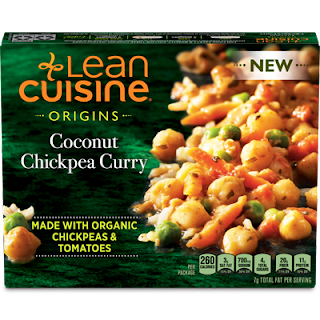 Origins, the most recent addition to the Lean Cuisine line-up, features 14 meatless comfort recipes made with organic ingredients. The subline includes dishes with plant-based proteins, gluten-free ingredients and now for the first time from Lean Cuisine, vegan options, too. With the newest recipes featured under the Lean Cuisine portfolio, families can embrace Meatless Monday, too, along with the start of the school year. In the last year my skin really has been drying out- not sure if it's an age thing or our trips south to Arizona that are contributing, but either way, I need help. I try a number of products for dry skin but they arent all created equally for sure. 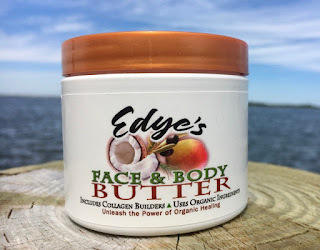 I have come across one that's at the top of my list right now, and it's Edye's Face & Body Butter. I don't use it on my face as I tend to get plugged pores easily, but it can be used on your face. I am really loving it for after my bath and shower, for my whole body. It's been great for sealing in moisture as well as even long after the bath or shower, my skin feels so soft. 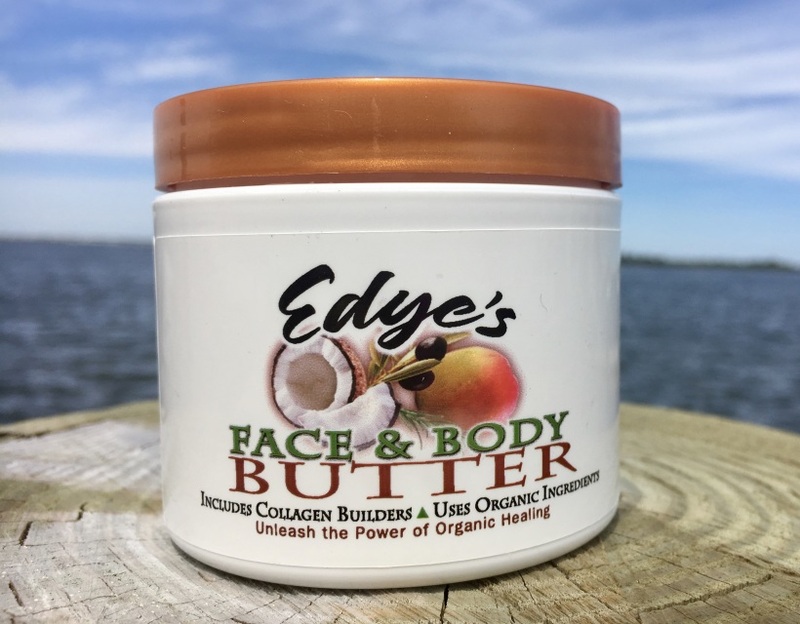 The body butter is made with essential oils and is not only good for dry skin but other skin ailments like stretch marks, scars, rashes,etc. What I was needing to try it for was crepey skin. My legs really needed help the most and I have seen a difference in a week's use. Well, actually I saw a difference the first day I used it but overtime it did really improve my skin that much more. Even your pets can benefit and babies. But don't only take my word for it- you can see more reviews of how great it is on their Facebook page! These days there are probably not too many people around who haven't at least heard of PayPal. Although, I guess I'm mainly talking about younger generation, a number of people over 60 might not have found a use for it yet. But PayPal is the leading online payment system founded back in 1998. Well, you might either love PayPal because of its ease and speed of transactions, or you might hate PayPal because of its enormous fees, but chances are that you kind of love at least one of the guys behind PayPal - Elon Musk. Other founders are Yu Pan, MaxLevchin, Peter Thiel, Luke Nosek, Ken Howery. Musk was ousted from the company though when he wanted to move everything from Unix to Microsoft. Right now in 2018 PayPal has 244 million active user accounts. In second quarter of 2018 there were 2.3 billion transactions totaling 140 billion in payments. PayPal's revenue? $3.86 billion. Net income around $1.795 billion. And the company has around 18,700 employees. PayPal has also managed to get something really wrong during its good run. In 2013 they accidentally credited $92 quadrillion to one account. If PayPal hadn't removed the "money" from the account, the man from Pensylvania said that he would have probably paid down the national debt. In 1999 PayPal was voted one of the 10 worst business ideas. Well, considering they initially gave $20 to everyone who opened an account with them as well as $20 for every referral, I can see why one could see them as the worst company. But then again, this also meant that this 60-70 million dollars they had to spend on it gave them 100 000 customers from day one. While PayPal is mainly an online payment system, nowadays there are also a number of stores with in-store PayPal payments and more are coming soon. Additionally, one can now also participate in PayPal betting, in some countries users can have PayPal debit card, and so on. I remember a friend of mine mentioning me a while back that a homeless person once came to him asking for some change. He didn't have anything on him and the ATM was far away. And then the man asked - do you have a PayPal account? My friend said yes, he did, after which the man took out a PayPal payment system (or however it's called) from his pocket. Welcome to the new world.